Watching the World Develop – Telling you that the road is rising up to meet you is the only way to describe level design in Bastion. As you progress, all that populates the world comes to life. 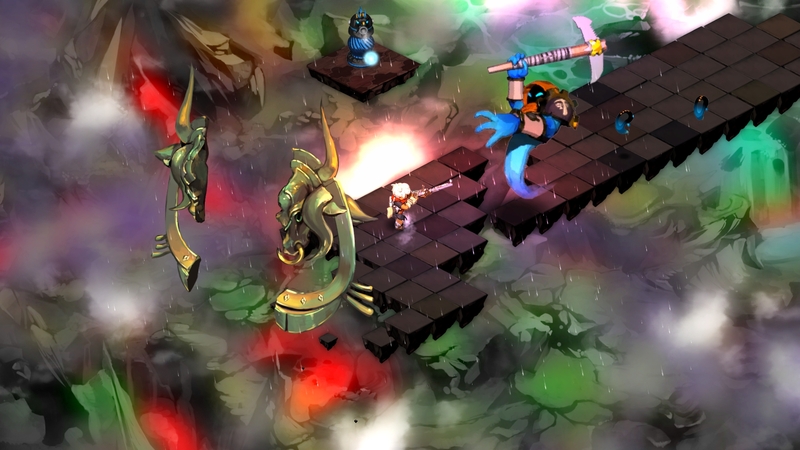 The road is not leading you down twenty different paths, but the paths that are built up are filled with vibrant color, destructible environments and a large number of baddies to hack and slash your way through. And here’s another fun fact: while playing through Bastion, we came to notice one very interesting omission, there is no map. 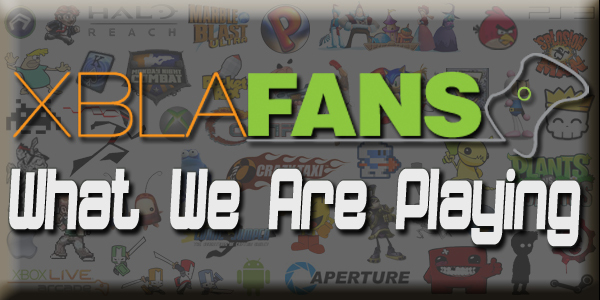 Since Bastion shares a similar play style to a classic and genre-defining title like Diablo, we were very surprised not to find a map or mini-map in this game. Due to the fact that the road is only being built right in front of you, the player doesn’t have to worry about following directions on a map or some sort of bread crumbs to each location. This allowed time to look around the world that was around you, and take in the beauty. Forced Variety – While restoring the Bastion to its former glory, you’ll come across a variety of weapons and secret skills. Supergiant games did make each weapon and skill feel and play differently, but the way they implemented these new items was more important. When the kid picks up a new item, he has to use it. So, if you’ve been enjoying your time pummeling the snot out of your enemies with your trusty hammer, you may find yourself without it for a bit. In these sequences, the level design is built to show the player what the new weapon can do, and in what type of situation it would be best to use it. Now before you go freaking out, know this: there will be an arsenal in each level soon after finding a new weapon. So, if you don’t like the new hotness and you want to go back to your trusty old monster-thumper, you can. 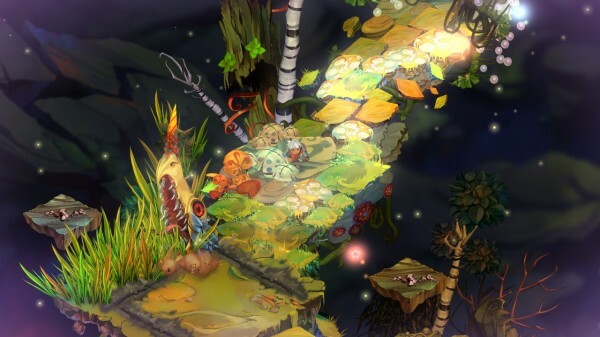 Sound – The music of Bastion is the best kept secret of the game and is a “closely guarded secret” in Greg Kasavin’s opinion. Much of the music is there as the game’s theme. Returning to the town area (called The Bastion in-game) will always bring back welcomed tunes that are both fitting for the situation and memorable. While working your way through the games levels, each new environment is coupled with a new musical theme. It is also a major focus at turning points in the story, and will really tug at your heart strings. The careful planning of sound and choice of music in this game sets it apart from the rest. And there is no way to talk about sound without discussing the narration done by Logan Cunningham. He brings an extremely unique voice delivered in a way that only the James Earl Joneses and the Morgan Freemans of the world can duplicate. The narrator is essential to the story and lore of Bastion, and Cunningham nailed it with his voice work. Once you hear the first lines from the narrator chronicling your actions, you will be hooked. Replayability – The game clocks in at about 8-10 hours for the first play-through, but the developer has built a game worth coming back to and gave you the ability to through its new game plus mode. In this mode, you can replay the entirety of the game with your level and upgrades still intact. You have to re-discover the weapons in the world to use them, but they will be as strong as they were when you ended the game the first time. There is also a challenge mode built in as a training zone for each available weapon in the game. If you can complete the challenges, you will be rewarded with materials to upgrade your weapons. Also, there are sections called Who Knows Where in which the kid must survive waves of enemies. After defeating a wave, the narrator will tell more of the story of either the kid or one of the survivors. 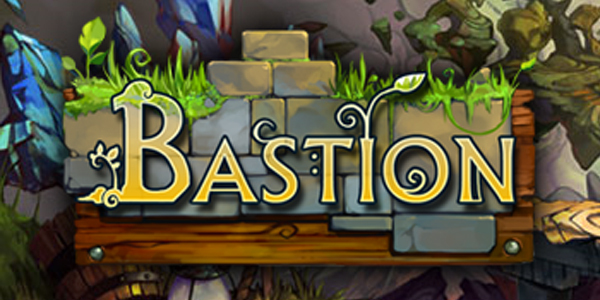 If you want to get to know all there is to know about the world of Bastion, this is are great place to do it. Completing these modes rewards you with points to upgrade your weapons and skills, but you are always able to replay through these sections. Aiming your shield – Blocking in Bastion can be done in a variety of ways. The default controls allow you to quickly pull out you shield and lock on to a nearby enemy or turret. You can also use the right stick to aim your shield to block in any direction. If you decide to use the auto-lock block, you’ll find yourself vulnerable to the left and right. You can switch between enemies you are shielding yourself from using the right and left buttons, but it’s not an option when there are more than a few enemies on screen. If you use the right stick to make sure you are well protected, it’s difficult to switch between attacking and block quickly because your right hand can’t be in two places at once. Where’s the edge? – You get used to the fact that you will walk right off the level if you walk off the edge, but there were a number of times during play that it seemed like there may be a ground, or more to explore in a certain direction, only to find out very definitively that there wasn’t. Supergiant Games made the right choice in not including walls so that the world always felt unstable, but a more careful design of a few areas would have helped keep the kid from slamming his face into the ground. That there isn’t more – The dynamic narration that had be well documented by previews did wonders for the story. Logan Cunningham is a voicesmith. The richness of this man’s voice would make stubbing ones toe an epic and awe-inspiring experience. However without Cunningham and his narration, there aren’t very many story moments in game. These were a welcome break from the action, and were the most compelling moments in a game this year. More of those moments would have been welcomed additions. Also, Bastion’s once well-populated areas didn’t ever seem that full. Apart from the standing, ashy remains of several townsfolk, there wasn’t all that much to find. The Calamity could be blamed for that, but more remnants and backstory would have also helped better understand what once was in Caelondia. 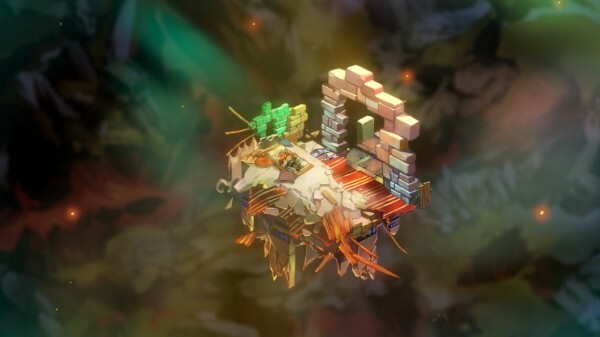 Bastion is not just a game with solid gameplay and style, it’s so much more than that. 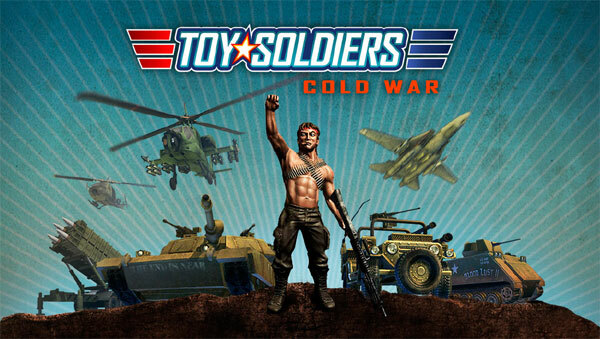 This is in fact the best game available on the Xbox 360 so far this year. Retail releases may have millions more invested into their development, but you can’t fake amazing, and that’s just what Bastion is, Amazing. The environments are gorgeous and the design choice to go without a map that makes the player stand up and take notice of them. The story is engaging because it is being given to the player as a reward for progress. If you just stay still in this game, the world never comes alive. The player is the catalyst that brings the world to life. The voice narration is pinpoint perfect for the game and the well-planned delivery and richness of Cunningham’s voice gives each word so much weight. The music is award-worthy and fills heavy emotional moments in the story with depth. 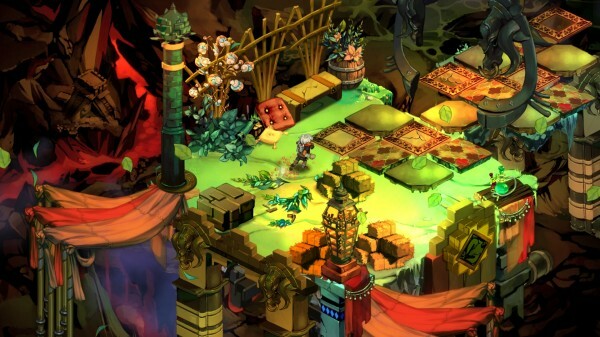 Bastion is a game that not only begs to be played, but begs to be experienced.